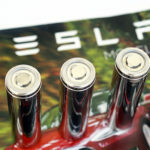 Posted April 12, 2019 by Ryan Austin & filed under Newswire, The Tech. Bel Power Solutions, a manufacturer of power management devices, is now manufacturing a 25 kW on-board battery charger for industrial, construction, and mining applications. The charger, known as the BCN25-700-8, converts 3-phase AC voltage to DC voltage. It measures 20.63” x 13.39” x 3.31” and weighs 42.77 pounds. The enclosure is made of aluminum alloy and is liquid-cooled. The battery charger features 3-phase input voltage from 460 Vac to 575 Vac (line to line) and output voltage from 250 Vdc to 800 Vdc, 37.5 A, with galvanic isolation between the input and output. The product is compliant with SAE J1939 for CAN Bus communication and the case is IP65 and IP57 compliant. Bel says EV charging for industrial, construction, and mining applications doesn’t require a neutral. 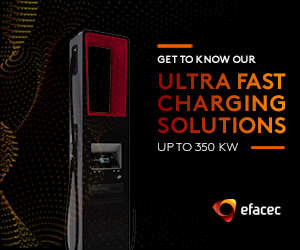 The company also emphasizes that the charger is designed for industrial environments and is not intended to connect to any public grid.